This WIN a $1000 Gift Card to Spend with Someone Who Stands By You post is sponsored. Having kids and parenting in general can be a pretty tough gig for the most part. I mean there are a ton of rewards but there are also sports, other activities, sleepovers, birthday parties, doctors appointments and so much more. Some days I look at my calendar and just laugh. I can't help it. I figure that there is no way to get it all done but that never stops me from trying. We hope that you enjoy our WIN a $1000 Gift Card to Spend with Someone Who Stands By You post. I definitely need a break every now and then. I get that break through entertainment. I love to read, watch television and go to the movies. There is something about immersing myself into a story and getting to know those characters that just takes me away and allows me to enjoy myself. I can fully relax and just kind of switch off while getting lost in the story. One of my favorite forms of entertainment is true stories. I love reading about or following along with true events and when they are made into movies, the chances are I am there opening weekend with ticket in hand ready to escape. 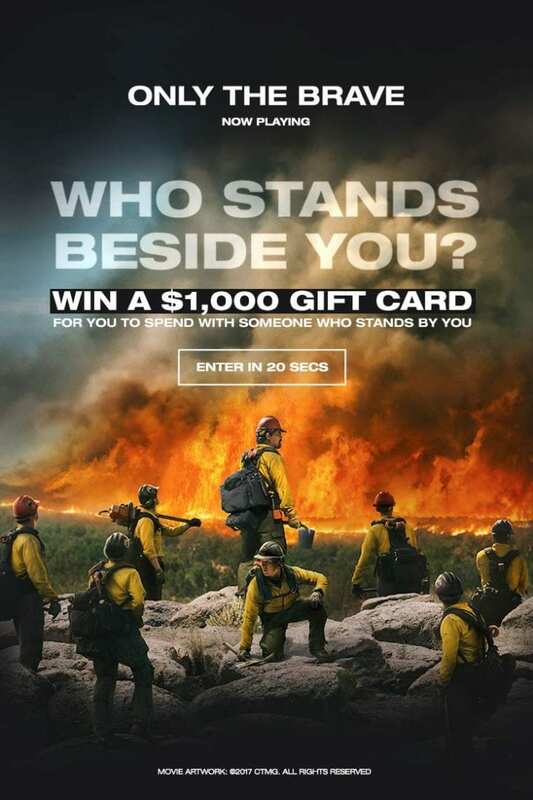 Since the release of Only the Brave on October 20, you now have the chance to WIN a $1000 Gift Card for you to indulge yourself and someone special who has stood by you through thick and thin. You can also choose to donate to a charity of your choice or pick a fun gift for that special someone in your life! Read on for more details. 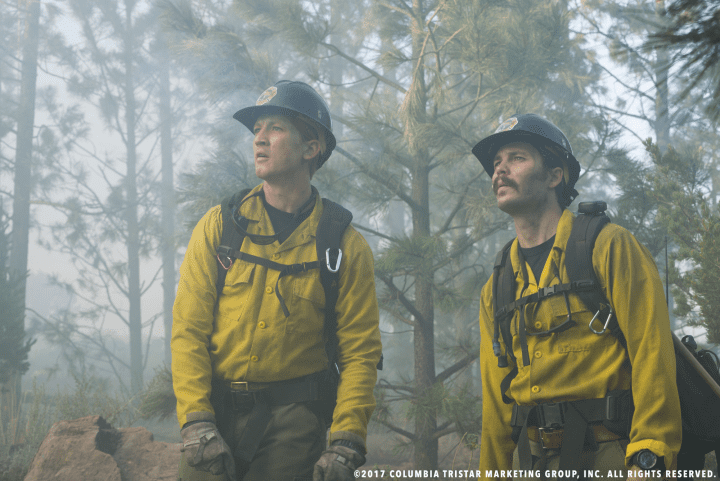 Only the Brave is based on a true story, recounting the events of the Yarnell Hill wildfire which threatened to claim thousands of lives in 2013. Through hope, determination, sacrifice and the drive to protect families and communities, the story follows the Granite Mountain Hotshots – a crack team of firefighters who become one of the most elite firefighting teams the country has ever seen. Where most people run from danger, they run toward it – watching over lives, homes and everything people hold dear, forging a unique brotherhood that comes into focus with one fateful fire in Yarnell, Arizona. This movie is a heart-breaking and inspiring tribute to a group of men – brothers, husbands and fathers – who made the ultimate sacrifice and lost their lives protecting their community from imminent danger. Starring Josh Brolin, Miles Teller, Jeff Bridges, James Badge Dale with Taylor Kitsch and Jennifer Connelly. 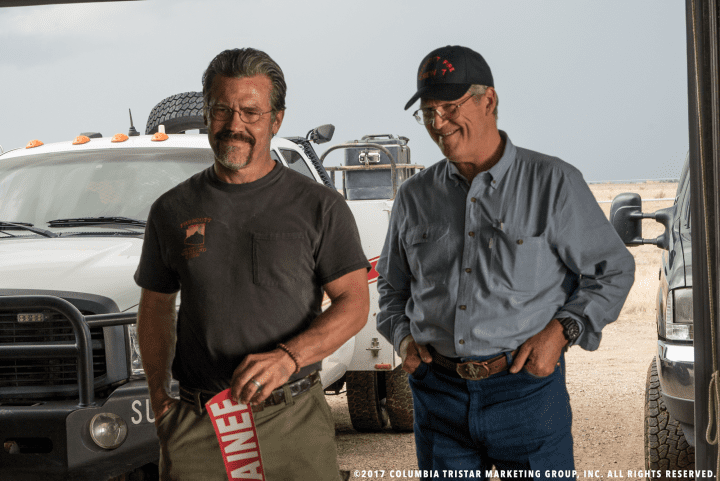 Only the Brave is in theaters now! Need “me-time” or want to give back? Want to grab that perfect gift for someone special? 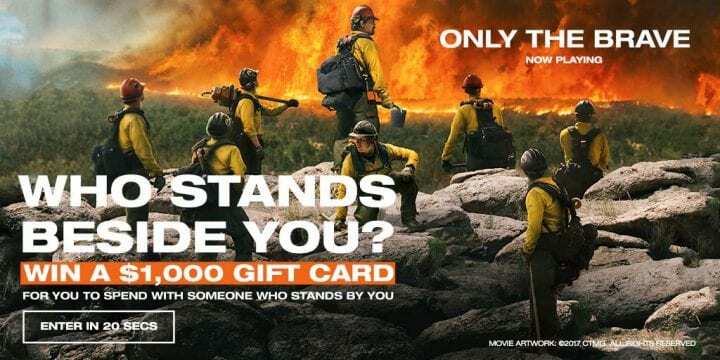 Enter the Only the Brave movie contest where you can share how the true story of Only the Brave can inspire you with a $1000 gift card. Good luck and enter here. I’m so excited to see this movie. Josh Brolin is an amazing actor. I don’t think I’ve ever seen him do a bad job in any role. That’s such a great giveaway! 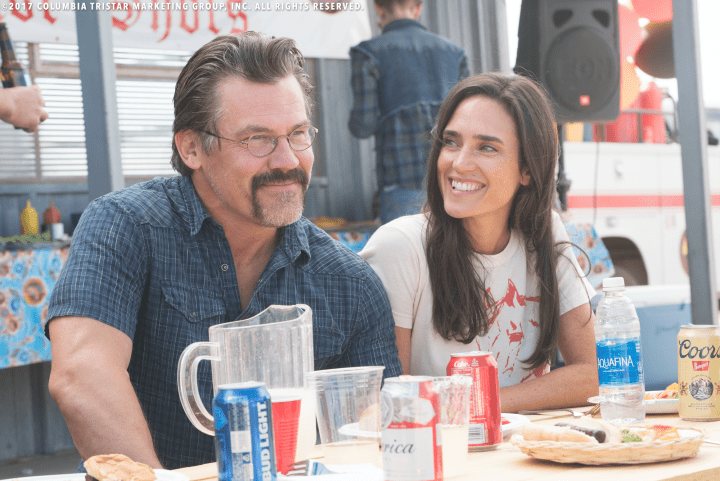 $1,000 is a big prize, and Josh Brolin is a BIG actor. I absolutely adore his work. I can’t wait to see this movie! Wow! This looks like an awesome movie! I’d definitely on my list to see now! That’s a pretty sweet contest, too. The trailer looks really amazing. I would love to watch it. I really do want to see this movie quite a bit. I know quite a few people that it affected. I would love to get $1000 to give to somebody that deserves it. I don’t want her for a way to celebrate what that person means to you. This is an awesome giveaway and Only the Brave sounds like the kind of movie I’d like! There are some really good actors in the cast. The trailer of Only the Brave looks like it will be a really good movie. The giveaway is pretty amazing as well. My husband and son have been wanting to see this film. I love the sweepstakes being offered. I would have to say my husband is my biggest supporter that stands by me. We are planning to go see Only the Brave for date night. I have been looking forward to seeing it. It would be amazing to win a $1000 gift card. Only the Brave looks like it is going to be a great movie. I would love to win the $1000 gift card and treat my best friend to a day of pampering. This movie is going to be great! I would have to nominate my husband who means the world to me! He stands by me! I think it’s awesome to watch an inspiring and touching movie like this. I’m sure it’s going to be a tear-jerker as well. I can’t wait especially since I like the cast! What an awesome giveaway! I would love $1000 for a little me time! I also can’t wait to see this movie. It looks like such an inspiring film! I have read and heard so much about this movie. I really want to see it. What a fantastic cast! I am really looking forward to this movie coming out. I just love me some Jennifer Connelly. This movie looks like it is going to be really good. I love that they have a contest going on like this! What a wonderful sweepstakes. I love the idea of being able to spend the gift card with someone who stands by you. Not easy to find a person who stands by you through it all, everything good and bad! I have not heard a thing about this movie, but the trailer looks simply amazing. If I was to win $1000, I would give it to my husband who has always stood by my side. Only the Brave sounds like an amazing movie and I would love to watch it! I’m sure it’s going to be amazing and also touching. It would be nice to win that gift card and donate it to people that need it most. It would be so nice to win something like this and help out! I think this movie is something to watch out for, it’s really inspiring, especially since it’s based on a true story. Wow, I know quite a few people who could do a lot of good with a $1K gift card! Such a great sweeps! Excited to see this movie, a movie we can all go to as a family, My girls were just reading an article about it. I could really use that win! I can’t wait to see that. Only The Brave looks like such a great film. I’m marking it down on my watch list right now. And what an amazing giveaway. I’d take my mama on a shopping spree if we won to give back for all the years she’s been my rock. I can’t wait to see Only The Brave. I’ll have to remember to bring tissue with me. This sounds like a great movie! I’ll be sure to catch this in theaters!. That looks like a really good movie. And this contest to recognize someone who is your own everyday hero is a wonderful concept. This movie is definitely a must see! I love movies that are based on true story. Thanks for sharing this! What an awesome giveaway! I’m so excited to see this movie. I was just telling my husband that I wanted to see it. I can’t wait to see this movie – it looks really good. Awesome giveaway too! Here in California fires are a big deal to us. We totally want to see this movie, I know so many wonderful firefighters. I would love to win $1,000! I’d share it with my wife, and just treat ourselves maybe to a weekend getaway. I saw the trailer for Only the Brave, and I really am excited to see it. My wife and I love movies like this: action, based on a true story, etc. Can’t wait to watch it with her! This sounds like an awesome campaign! I would love to see this movie when it comes to theaters. Looks like a great one! I’ve been looking forward to seeing this movie. The people the actors portray are so brave and selfless. If I win the sweepstakes I will definitely spend it on a weekend away with my boyfriend. It’s time to get away! My sons are so excited about this movie. We have tickets to see it tomorrow. We have a family of firefighters and we appreciate them so much. This is an amazing giveaway. What a way to thank the people who are there for you! I saw an interview with him this past week promoting the movie. It looks like it would be a pretty good movie. Winning $1000 would definitely be a great thing, too! A $1000 giveaway. That is major so awesome and also thanks for sharing the movie. What a great giveaway! This would certainly be helpful to any busy mom who’s ready to take a break and get in some me time. I’m looking forward to seeing this movie, too. The trailer looks like it’s going to be good. This is an amazing movie. I’ll be seeing it again. What a great giveaway, especially for the holidays. I have to check out the movie. What an amazing campaign and sweepstakes! I have been wanting to see this movie. I hope to see this movie with my husband. This giveaway is also really amazing! I love books because I can immerse myself in a story and get lost in it. I think true stories are some of my favorites as well because it’s neat to think about the fact that they truly happened. The movie looks so good and really shares how people who do this type of work are such heroes. I hope I get a chance to see it. This looks like a good movie. I really like the actors that are in it. The $1000 would be nice too! I’m really looking forward to watching this movie! This would be a good one to watch with my big kids. Looks like a great movie! Can’t wait! What’s a wonderful giveaway and I’m super excited to see this movie, it has a great cast too! This looks like such an awesome movie, and I’m sure very emotional too. What a great giveaway to appreciate someone who is selfless! We will have to check this one out. I love the sounds of that giveaway, my husband has been to hell and back with me and all of the health issues I have had. He is quite amazing so I would love to win something like that to share with him. Great giveaway. I also cannot wait to watch the movie. The trailers look so good. I’ve heard a bit about this movie. Sounds like it’s going to be great. I would really be interested in seeing it too. My husband would definitely be spending the day with me if I won. He deserves a medal for putting up with my many moods. I have so many people who have been my ride or dies. It would be hard to choose if I won! WHAT AN AMAZING GIVEAWAY! And I would totally spend this $1000 with my husband because he ALWAYS stands by my side! THis movie looks really good. I had never heard the story of what happened before but read about it once I heard about the movie coming out. WHat a great opportunity to win too! This give away is incredible, I’m all about having some me time. I really want to see this movie, I’ve heard so much about it. 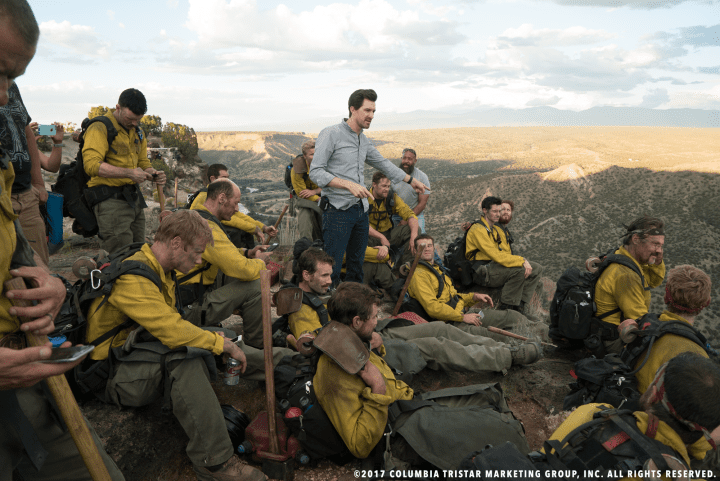 I remember the story of the Granite Mountain Hotshots and that’s why I can hardly wait to see this movie. Bet it’s a good one.